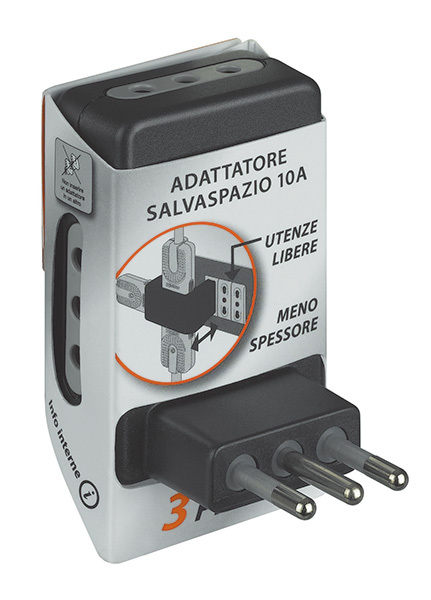 The previous packaging for the BTicino plug adapters consisted of a PVC blister pack with a paper insert. This has now been substituted with a new package of multilayer cardboard and a LDPE film. This innovation has allowed the package weight to be reduced by around 50% and, consequently, entails a similar reduction in raw materials. Furthermore, the new system enables 75% more packages to be squeezed into a standard pallet for transport than before. BTicino’s Environmental Management System is certified to UNI EN ISO 14001 standards. These changes have had a positive impact all the way down the supply chain. Water consumption reduction is lower than the other two indicators owing to the greater amount of paper used.